Over the course of the year you’ve probably heard that a number of musical adaptations are in the works. So far, we know that Cats, Aladdin, the Lion King, and Wicked, are in production, some further along than others, sadly, but that’s not all that we have to look forward to! Based on the Arabic folktale of the same name from One Thousand and One Nights and the French interpretation by Antoine Galland. With a cast including Mena Massoud, Naomi Scott, and Will Smith, Aladdin will be the first to be released! Will Smith is playing Genie, and fits the role superbly. Check out the new singing talent through this Playbill article! Look forward to a magic carpet ride on May 24th, 2019! Everyone knows that The Lion King is influenced by William Shakespeare’s Hamlet. Donald Glover, Beyoncé Knowles-Carter, and Chiwetel Ejiofor have been cast in the remake, alongside James Earl Jones who is reprising his role as Mufasa. It’s also been reported that Elton John has been working on a new song for the 2019 film for Beyoncé! I just can’t wait for this live-action experience on July 19th, 2019! The Andrew Lloyd Webber musical is based on T.S Eliot’s Old Possum’s Book of Practical Cats.We already have a star-studded cast announced of Jennifer Hudson, Taylor Swift, Sir Ian McKellen, and James Corden, who are working alongside award-winning choreographer Wayne McGregor who is coaching them into catlike movement! The cats of the Jellicle Tribe will pounce into theaters December 20th, 2019! Unfortunately for these remaining film adaptations, there is no release date announced! Nonetheless, we still can’t wait to dance our way to the movies when they do come out. Wicked is based of the revisionist novel Wicked: The Life and Times of the Wicked Witch of the West by Gregory Maguire. A lot is up in the air for the film as the original air date was taken by Cats and we have no actors cast yet. Fortunately, we do know that the screenplay is being worked on. So the Witch of the West will be Defying Gravity on the big screen, just not any time soon. 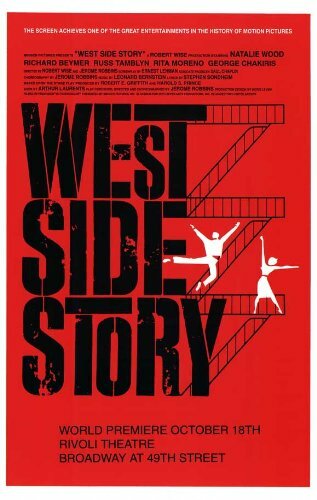 West Side Story is based off William Shakespeare’s Romeo and Juliet and Steven Spielberg has taken up the helm of rebooting the Leonard Bernstein classic. Apparently this is a dream project that Spielberg has had his eye on for years! For the announcement of the release date! Oliver! 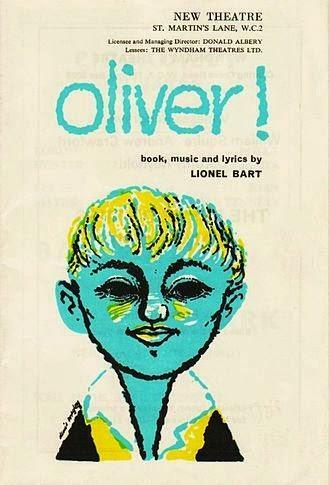 is the musical adaptation of Charle’s Dicken’s Oliver Twist. There isn’t too much known about the production for Oliver, but one thing to look forward to is Ice Cube, not only producing the film, but also acting in it! There are also rumors that a cross-genre hip-hop soundtrack will be pieced together for the remake! Hungry for more? You and me both! Let’s hope the release date gets announced soon! Tim Minchin, in an interview with The Observer over the weekend, revealed that there’s been some progress. When asked if the film of Matilda: The Musical is still in the pipeline, he said “yeah, but’s a pretty thin pipe”. He added that “We’ll be squeezing our way through it for a long time”. I loved the book as a kid and I can’t wait to see the children’s revolt in musical numbers! If only I had the brain power to conjure up a release date! South Pacific based on James A. Michener’s Pulitzer Prize winning book Tales of the South Pacific. For this production so far, Playbill has reported on South Pacific’s progress. It is reported that Williams (“My Week with Marilyn,” “Brokeback Mountain”) has been approached to play naive midwestern nurse Forbush. Producers Bob Balaban, Ileen Maisel, Lawrence Elman and Denis Wigman may also be hoping to lure Tony Award winner Hugh Jackman and Grammy winner Justin Timberlake to portray Emile de Becque and Lieutenant Cable, respectively. So although we have producers and an idea of a cast, there’s one thing we don’t have. Yes, there’s nothing like a release date! This musical is based on the Gothica Novella The Strange Case of Dr. Jekyll and Mr. Hyde by Robert Louis Stevenson. There hasn’t been much news of the new film as of late. The New York Times reported back in 2013 that the rights were taken by film producer Mike Medavoy, and Rick Nicita, a former agent who just started a production company, RP Media. Hopefully this project won’t “hyde” its release date for too much longer. In spite of not knowing a lot about the details and dates for many of these adaptations, I for one am very excited to see everyone of these films!